Why Do I Loathe Ezra Pound? 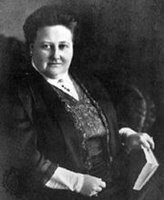 There is a long post here about the imagist poet Amy Lowell. It’s a good post about the perception others have of fat women in personal and professional settings. Amy Lowell was a compatriot of Ezra Pound. You know how they say many fat people eat out of emotion? I think maybe Amy ate because she had to bury the grief of having Pound be one of her friends. 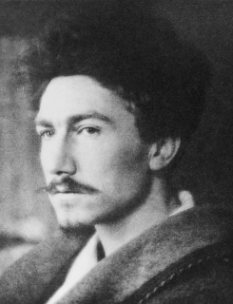 Because, really, I am hard-pressed to think of a bigger jerk in the world of literature than Ezra Pound. You know what he called Amy? A “hippopoetess”. Dude, honestly. Come down off your high horse. It’s as though Pound was the early-20th century version of those actors who think that their 96 minute film should change the way we all think and live. I appreciate art/literature/poetry/film/music a great deal, but I certainly don’t think that all civilisation is guided by them. That quote just sounds like Pound’s excuse to his mother for why he didn’t become a doctor. Don’t forget he was a fascist stooge who spent 12 years in the laughing academy on a bogus insanity plea after he found out he and Mussolini weren’t going to grow old together. I totally see him played by Sean Penn in the biopic. Absolutely. It’d be one of those movies where Sean can be all important and reflect on the importance of Artists who make Dangerous Political Statements. He’d eat it up. I can see him giving interviews during the press run about how he feels a “special kinship with Pound”. Oh, I loathe him even before getting to his personality and politics. I just can’t stand his poetry. There’s just something so off-putting about all those guys (Eliot also comes to mind) revelling in their shiny new poetic forms while reviling the shiny new world all around them as disintegrating crud. what’s it guided by then? You don’t agree with that statement? Are we not obsessed with television, movies, music, writing, fashion etc? Art captures the emotion of life, distills it and absolutely is a guide for people. What else is?